Radio Kaikan 8F, 1-15-16 Sotokanda, Chiyoda-ku, Tokyo 101-0021 ■How to Join: Anyone can join the event. “Dollfie Dream® Festival 2018” will take place!! DD Fes comes again this year!! It offers both familiar fun and new events! Anyone can join the event. 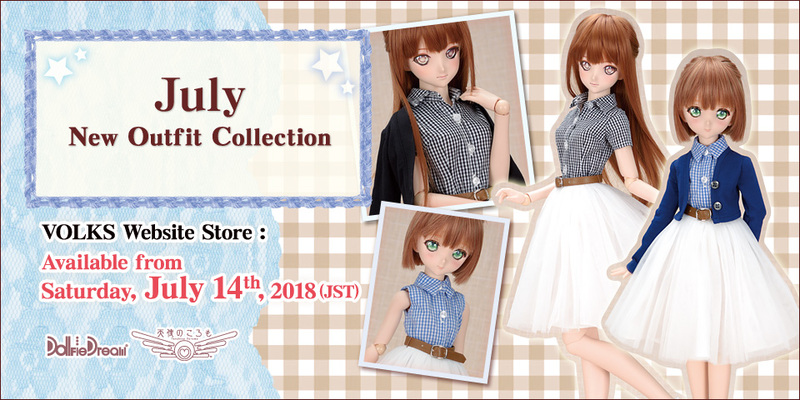 “July New Outfit Collection” and “Dollfie Dream® Festival 2018” will take place at the same time. Please click below link to check the detailed guidelines (how to line up to enter the store). *"Tenshi-no-Koromo" new outfits will be released at "July New Outfit Collection"
which takes place at the same time as DD Festival 2018!